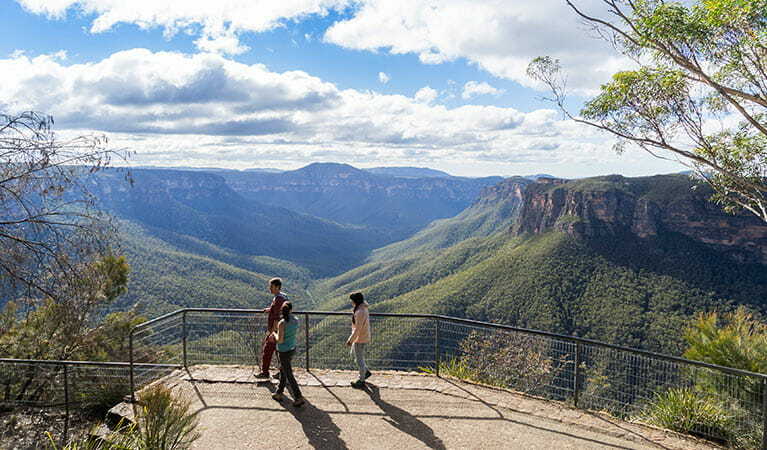 Head to Evans lookout and nearby Valley View lookout in Blue Mountains National Park if you're seeking incredible views, especially around sunrise and sunset. It's also the start point for several scenic day walks. 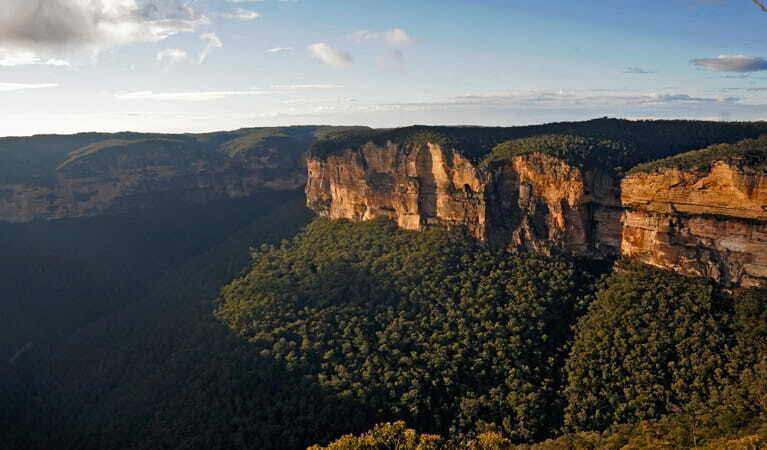 If you’re bushwalking in this park, it’s a good idea to bring a topographic map and compass, or a GPS. 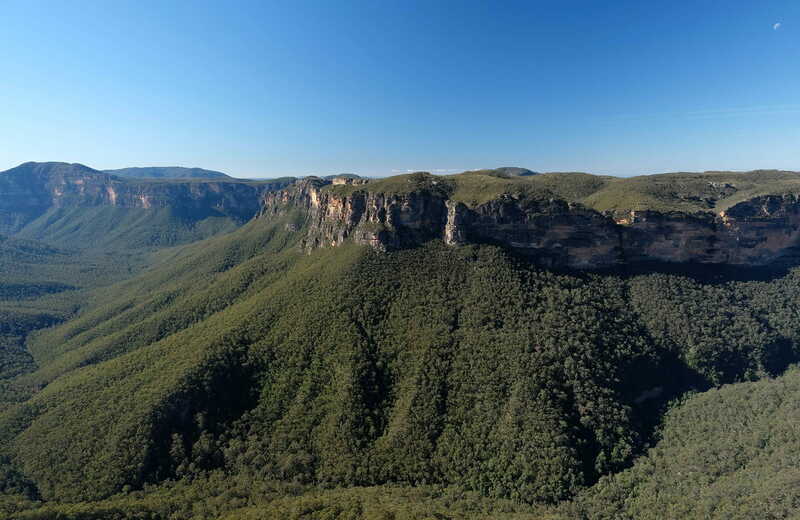 A brilliant introduction to the wonders of Blue Mountains National Park, Evans lookout offers breathtaking views towards Grose Valley, especially with the sandstone cliff walls glowing orange at sunset. 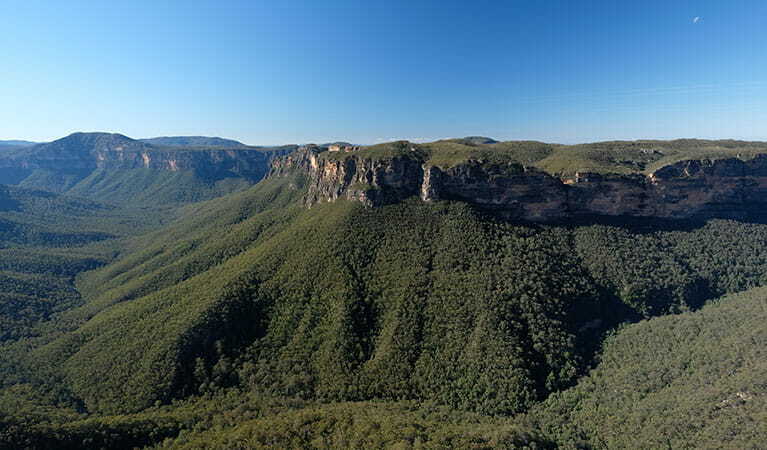 Located near Blackheath, it’s a good spot to include in a day trip from Sydney, and a great base for adventurous bushwalkers who want to get amongst it. Take in the clear mountain air as you trace the line of Govetts Creek winding its way through the expansive valley floor, or wander over to check out the scenery from Valley View lookout nearby. 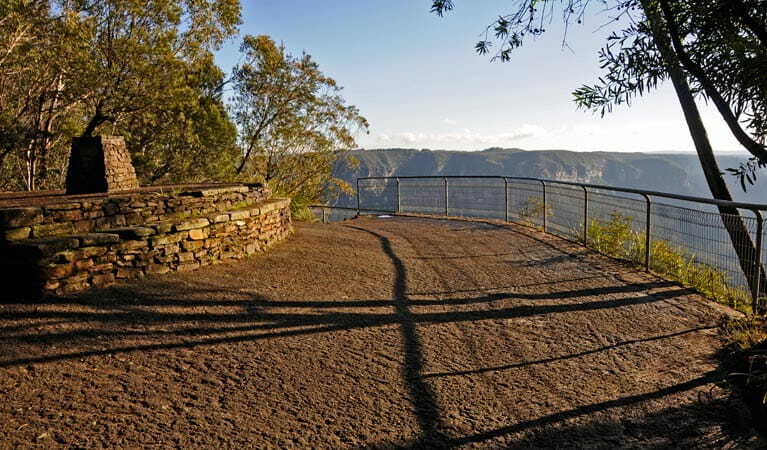 After fuelling up, step out on the moderately challenging Cliff Top walking track along the valley rim to Govetts Leap lookout. For the rare chance to experience canyoning without the need for all the gear, allow half a day for the Grand Canyon track. 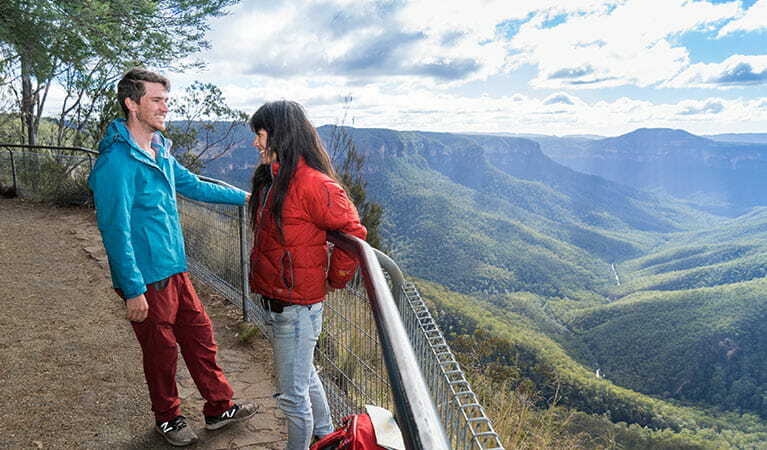 Drop into Blue Mountains Heritage Centre to find out more about the mountains and enjoy the views above Govetts Leap waterfall from Govetts Leap lookout. 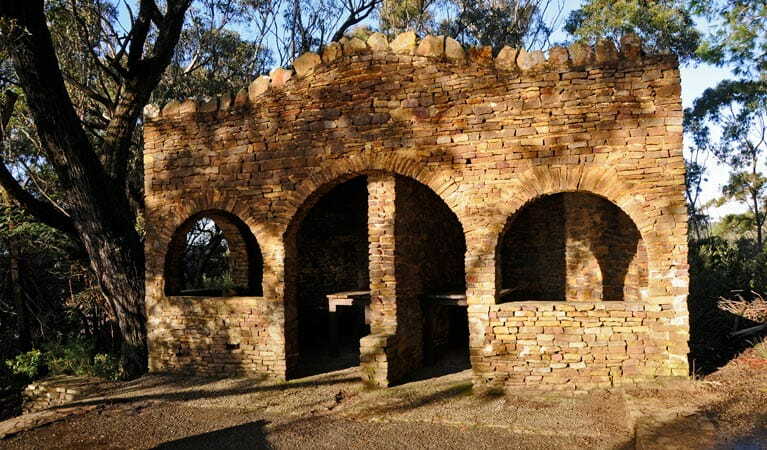 Take a virtual tour of Evans lookout captured with Google Street View Trekker. Bush Trackers was created to encourage children to engage with the environment in and around the Greater Blue Mountains World Heritage area. 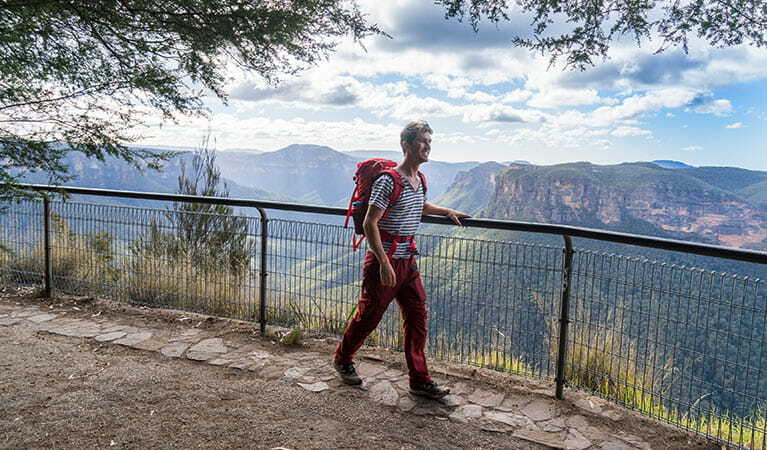 This program highlights the natural and cultural splendour of the greater Blue Mountains through education initiatives and bushwalks. 9am to 4.30pm daily. Closed Christmas Day. Blackheath area is always open but may have to close at times due to poor weather or fire danger. Contact hours: 9am to 4.30pm daily. Closed Christmas Day.